Feel Good Fused Glass Sculpture Mounted on Mixed Metals. Vibrant Colors & Dichroic Sparkle Fused with Energy & Light. Every artist approaches self expression in a different way. Even those that practice the same specialty often yield vastly different pieces. My mom is a fused glass artist, so I am very familiar with this technique and quite partial to it. With this connection to glass arts, I find myself drawn to other crafters in this area, interested to see the unique way they use similar materials and processes. Artist Elizabeth Dunlop is a shining star in the field of Fused Glass for the beautifully vibrant work she creates. 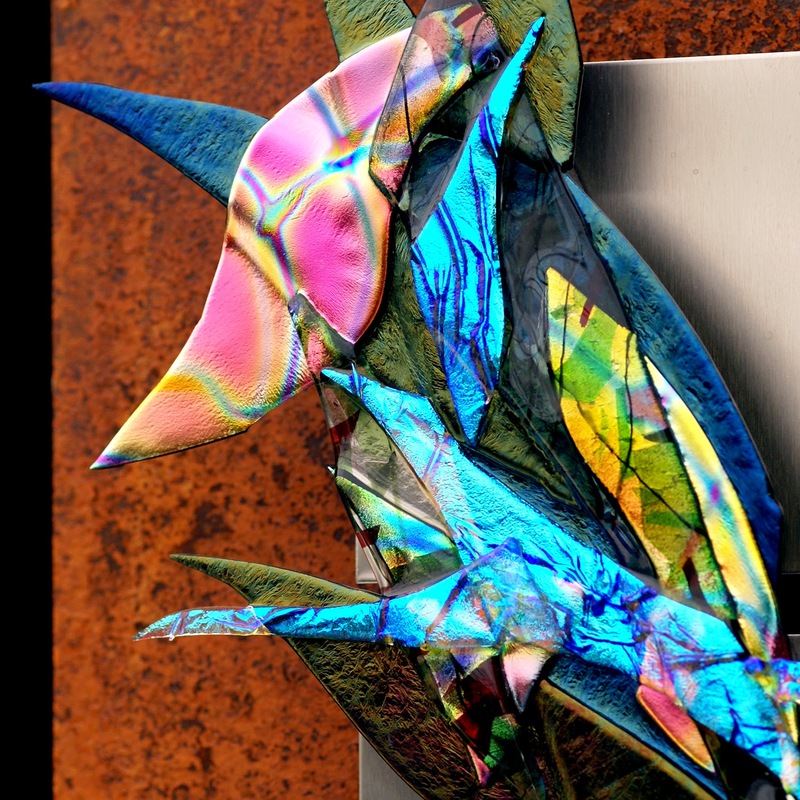 I especially enjoy how she mixes metals and dichroic glass to create decor that pops right off the wall. 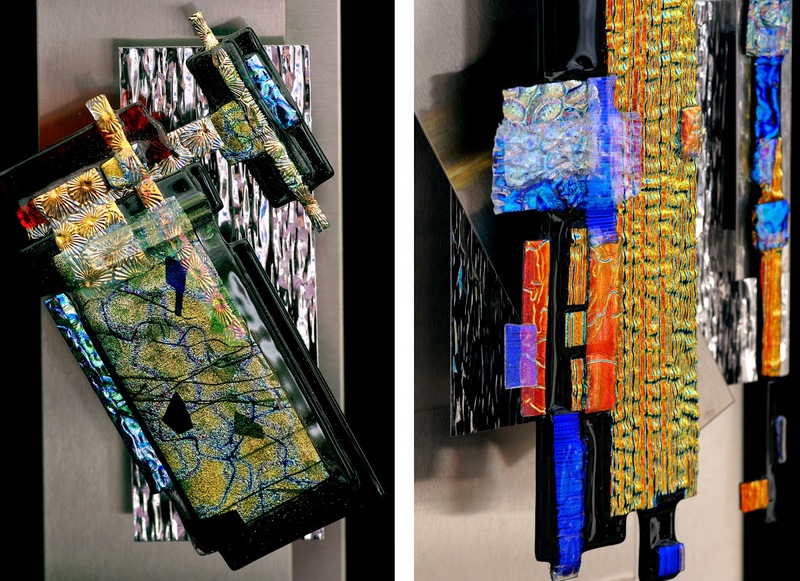 This artist is a master of Tack Fusing, which means using lower heat in the kiln stage to keep the shape of the glass scraps she has positioned on top of one another. 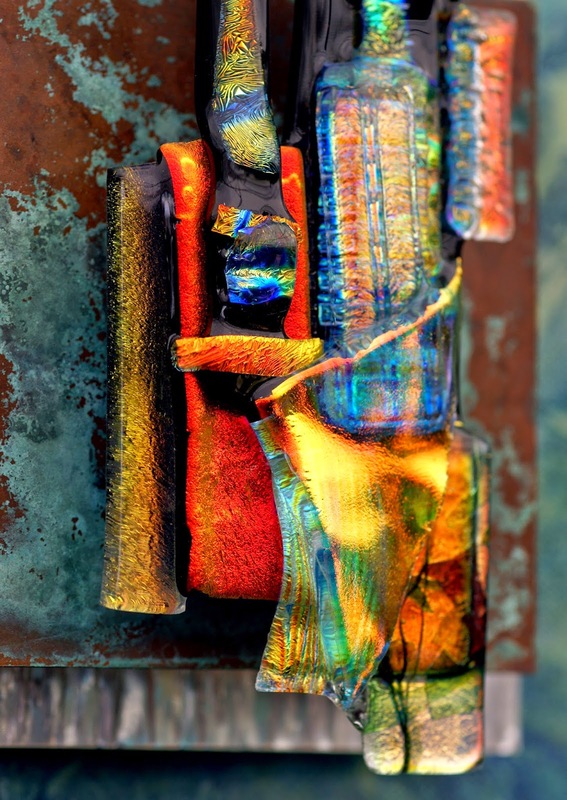 This is different than melting the glass to render a completely flat surface, called Full Fusing, and as such, it allows her to maintain great texture and dimension. Glass pieces with ripples and interesting edges make each work of art one-of-a-kind. Plus, this approach is a fabulous way to capture and reflect light from many different angles. It doesn't take much dichroic glass to make a creation sparkle, but this artist loves using this special type of glass for almost the entire piece for effect. 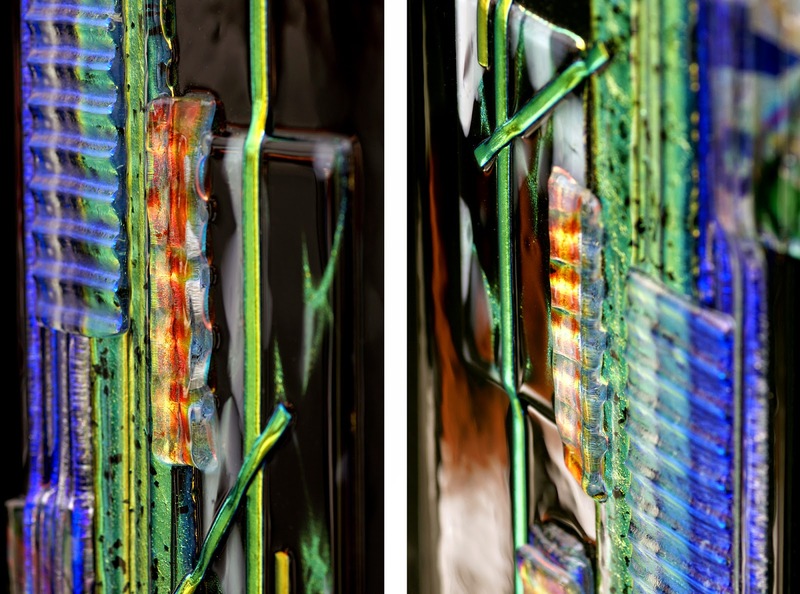 Elizabeth speaks of adding energy and light to any space, and I think she does that very successfully with bold and bright fused glass art, full of rich color and touchable texture.